How Will Astrology Help Me Find Mr. Right? Finding love can be an arduous task for many. When you have been heartbroken for what seems like the hundredth time, it can feel impossible to force yourself to get back out there. Failed relationships hurt, and it is easy to become jaded in today’s world. Yet, having somebody by your side can make it all seem worth it at the end of the day. Don’t you wish there was an easier way to find Mr. or Mrs. Right? All relationships take hard work and dedication, there is no denying that. Yet maybe you just need a little push in the right direction. It can be easy to miss opportunities or become focused in other areas of your life. It can also be easy to give up hope of ever having a fulfilling relationship. Do You Keep Falling for the Wrong People? Do you often feel that you find the right person, but something always sabotages the potential of your relationship? Astrology can help you see what went wrong and why. People naturally have cycles in their lives where good and bad things happen. Some cycles make it so that relationships won’t work out no matter how hard you try. Other cycles can give you the opportunity to finally find the love of your life. Do not get discouraged if things have not gone your way in the past. It just was not your time! Instead, put your faith in astrology to assist you in discovering when you will finally meet The One. Astrology can teach you why you have not found Mr. Right and when you should put yourself out there. Timing is everything. Working with the universe is far easier than trying to work against it. Are You and Your Love Compatible? 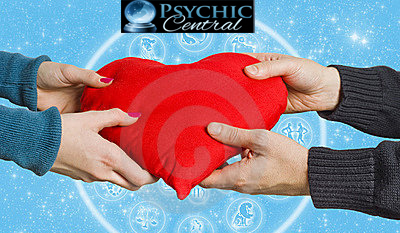 With astrology, you can discover how compatible you and your future, or current, partner are. You can discover how to make the relationship work and what to expect in future astrological cycles. Difficult periods happen in everyone’s life. Knowing your astrological chart can open up a whole new universe for you and answer the questions you have been desperate to know the answers to. Consult an astrologist to do a reading of your chart. You will find out things to help you on your life’s journey, including when love will be ready for you. The universe has a plan for everyone—so learn about yours today! By admin| 2016-10-12T21:05:37+10:00	September 28th, 2015|Blog, Life|Comments Off on How Will Astrology Help Me Find Mr. Right?